Two guns, one gun, or no guns? 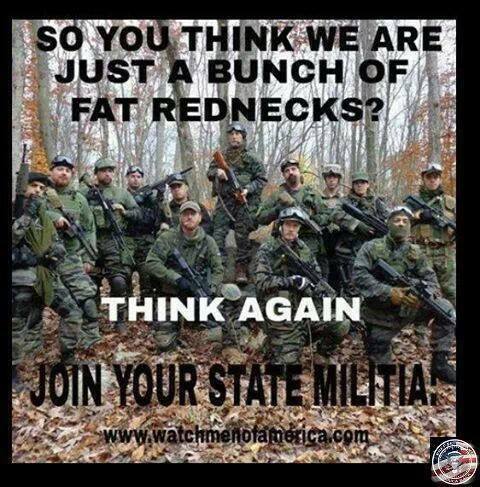 These are the guys who are going to keep us safe from Obama, if they can keep themselves safe from each other. What a bunch of cartridge-brains. Read the Daily Kos post below. Good that the guy had two pistols? Maybe better if he had none, then his buddy would just have a hangover and maybe a sore jaw, rather than a burial plot. And, for those not lucky enough to live in the gun crazy USA, it is not unusual for these types of goofs to carry more than one gun. In fact, a concealed carry license in Texas allows you to carry as many handguns as you conceal– two in hip holsters, two in shoulder holsters, two in ankle holsters, one in your hat, etc. 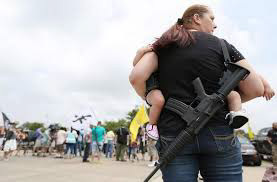 Of course, now TX has open carry. Not sure if it means the same. For some really scary stuff, go to the site on the featured photo. Ya’ll Qaeda in Oregon: Confrontation or No?